The city of Lewisville has put out an alert to find a group of children seen playing with a live bat. The kids were seen between 10 and 11 a.m. on Saturday, Sept. 19, at the Lake Park Ballfields, roughly between fields 7 and 8. The children left before Animal Services arrived and the bat has tested for rabies. The statement from the city says "there is no reason to expect a widespread appearance of rabies, however it is extremely important that anyone exposed be identified and examined right away.If you know of a child who fits this description, please contact Ethel at Animal Services right away at 972.219.3478." Rabies is a deadly disease. Spread of the disease occurs when the saliva containing the rabies virus is introduced into an opening on the skin, usually via a bit (or possibly a scratch) of a rabid animal. If you have a suspected animal, whether it’s a stray or a family pet, it should be taken to the vet or animal control for a confinement of 10 days. If the person who has been exposed to the animal is immediately treated with the vaccine and the animal does not show signs of rabies, it will not have to be euthanized. Bats are extremely dangerous. 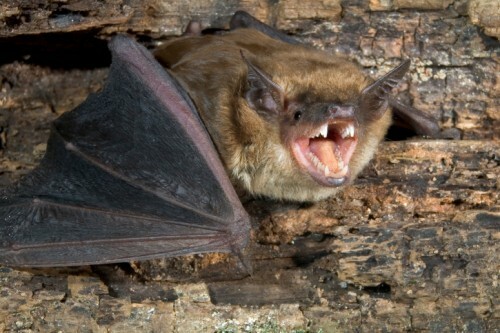 Not all bats have rabies, but most human cases of rabies in the U.S. are caused by bat bites. If you aren’t sure you’ve been bitten, go to the doctor immediately. Bats are tiny and can leave tiny bites or scratches that humans may not even notice, until it’s too late. If you come in close contact with a bat, go to the Emergency department immediately. If bitten by an animal, wash the wound with soap and water and seek medical care immediately. Protect your pets and farm animals from rabies by making sure they are vaccinated. Talk to your veterinarian for more information. Cook Children’s is prepared and experienced when it comes to caring for children and rabies. Cook Children’s has been very invested in making sure that the vaccinations are in stock. The caregivers are specialized in treating children, including Child Life specialists who can help the child throughout the process. Adult hospitals may not be equipped to treat pediatric rabies cases. Cook Children's Infectious Disease is dedicated to providing excellent, patient-centered care, as well as access to the most up-to-date therapies and leading-edge clinical research. Rabies 7 things you should know. Cook Children's has already seen 14 cases this year.